Tómate un Descanso (Take a Break) is an adventure game, not unlike the point and click games you could play during 90’s, before FPS games came out with their realistic graphics. 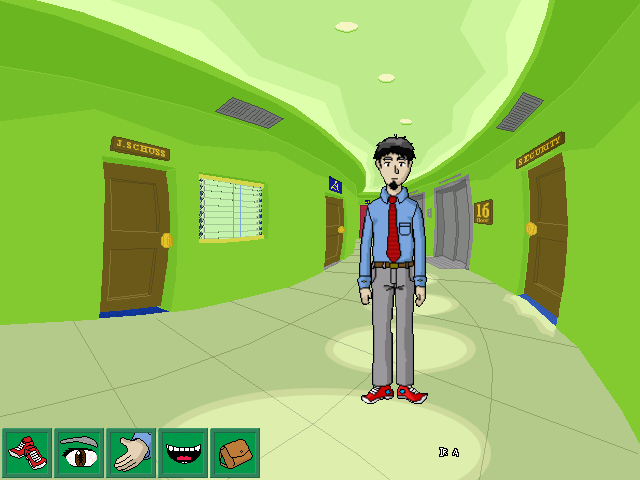 Tómate un Descanso is a short duration game in which Albert, a cynic office worker without any shred of loyalty to his workplace, wants to go out on vacation and fight to escape from its office. Download Tómate un Descanso	(926 downloads) (ZIP, 2.5Mb, Windows). Available for Linux too, with some extra instructions.